Colorado’s high-altitude summer sun ripens our gardens’ tomatoes and orchard peaches. The dry air and cool evenings help bring these to plump perfection in August. But unless it is properly controlled, the abundant summer sun can also overheat a house. 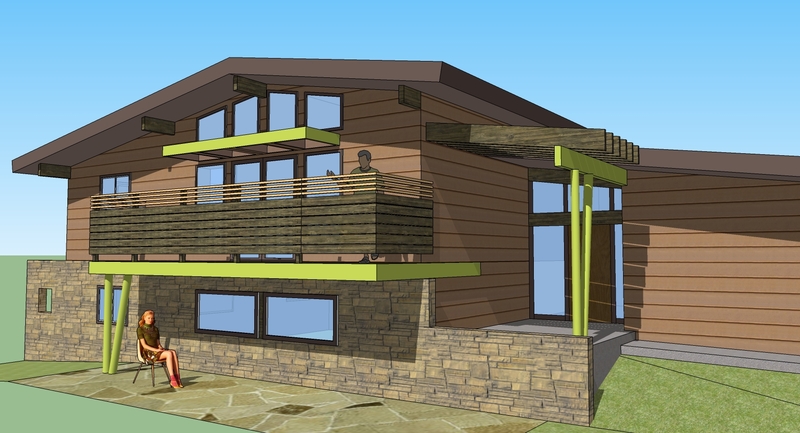 In the project show above, new elements will emphasize the classic horizontal lines and low-pitch roof of a mid-century modern in South Boulder. The renewal work will include components to mitigate the extremes of heat gain and wind loads. These include an entry trellis, efficient windows with specialty glass, and a custom metal sun shade. The angled columns will continue the play between symmetry and asymmetry of the original. Lightly toss ingredients in a bowl. Keep refrigerated until ready to serve over fish tacos or with backyard BBQ chicken. 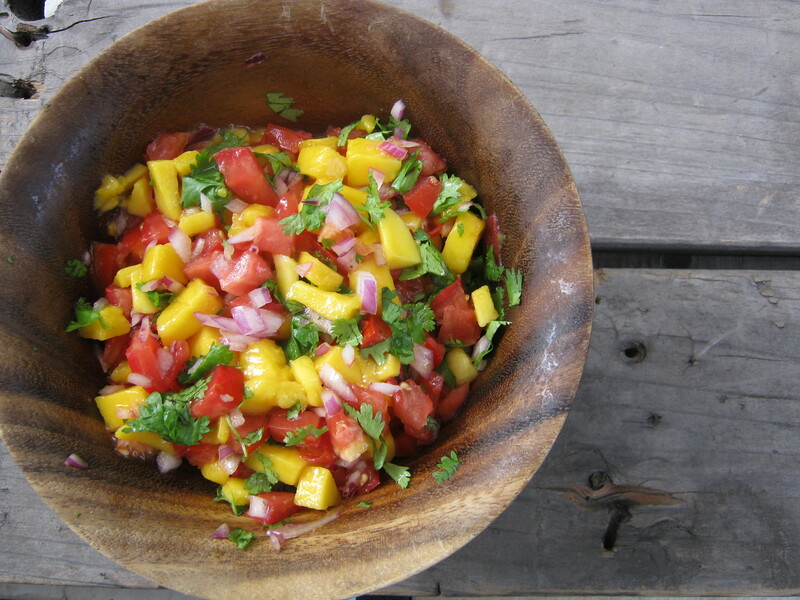 That salsa looks delicious—can’t wait to make some! Cassidy, some people add salt and lemon. I like the flavors of the fruit and veggies to speak for themselves. Enjoy!